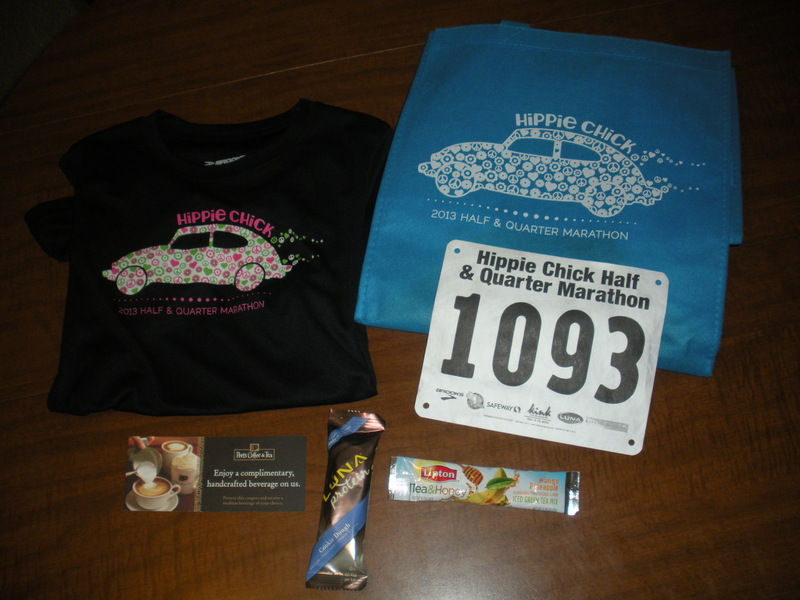 Back in December, I signed up for the Hippie Chick Half Marathon organized by the local race company Run with Paula Events. There were many factors that made this race appealing to me. For starters, I am a slow runner (who likes to take frequent walking breaks) and the race had a 4 hour time limit, catering to runners and walkers of all abilities. I’d never run an all-women’s race before and it supported a good cause — the Raphael House of Portland. As an added bonus, the start line was only 2 miles from where I live. I could have literally walked there…had I not been planning to also run 13.1 miles. I picked up my pre-race swag at Portland Running Company on Thursday. I will be getting a lot of use out of my race t-shirt and reusable tote. I devoured the Luna Bar and a complimentary Iced Matcha Green Tea Latte at Peet’s Coffee as pre-race fuel. The half and quarter marathoners started at the same time and ran the first few miles together. At the starting line, we observed 26 seconds of silence in remembrance of what happened at last month’s Boston Marathon, which was a tragedy — but not a defeat — for the entire running community. I knew by mile 2 that the bigger challenge for me today would be the heat/humidity rather than the distance. Although I grew up in the desert, I still struggle with determining the right level of hydration and have previously fallen prey to both heat exhaustion and overdosing on water. I decided to take a slow, steady pace and enjoy the gorgeous scenery. At about 5-1/2 miles, we passed Vander Zanden Farms. 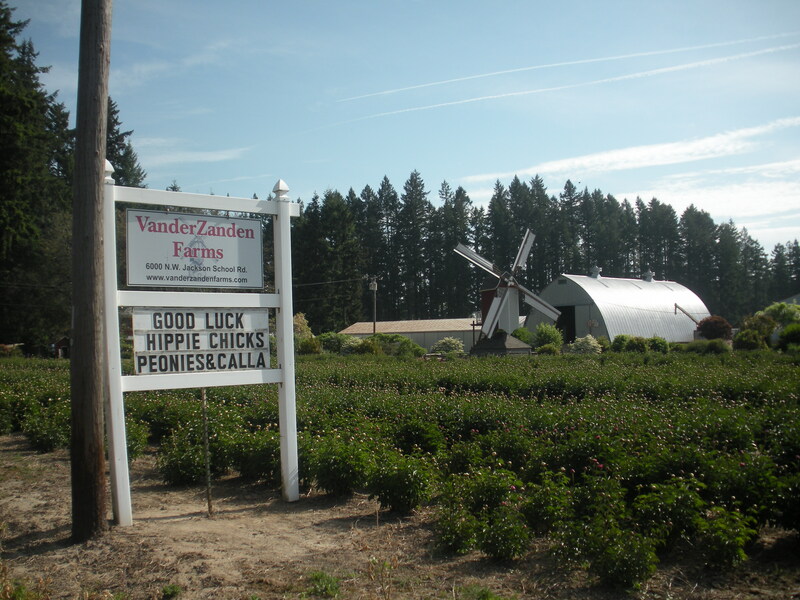 It was a bit too late in the season for tulips, but the owners left us a welcoming message. We passed many other farms along this rural course, and as the miles rolled by I began to dream about what I would eat after the race. 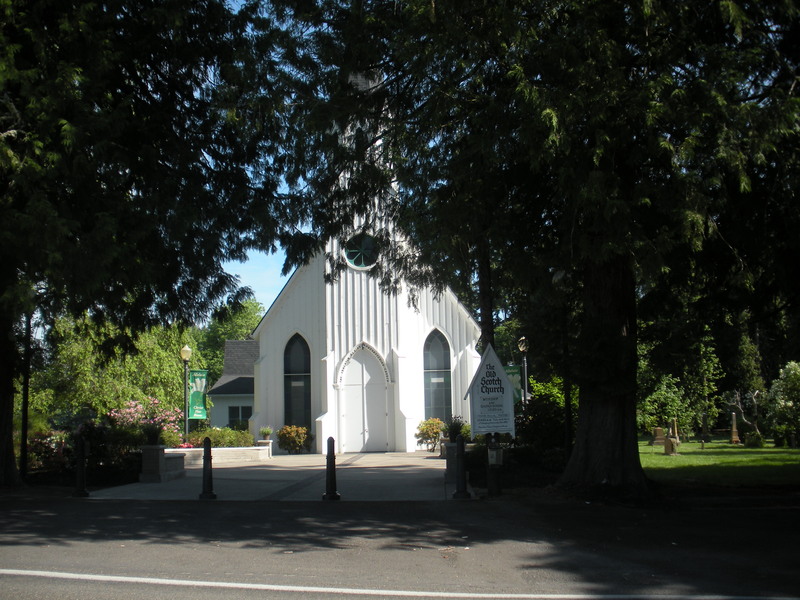 At around 7-1/2 miles, we passed the Old Scotch Church, built in 1873. Because I was running, I just snapped a quick photograph as I went by. My left knee became a bit painful around the 10-mile marker, so I decided to slow down my pace a bit more with longer walking breaks. My main goal was to finish, rather than to beat a certain time. But once I hit the 13-mile marker, I made a mad dash for the finish line. In the end, I finished in 3:01:28. 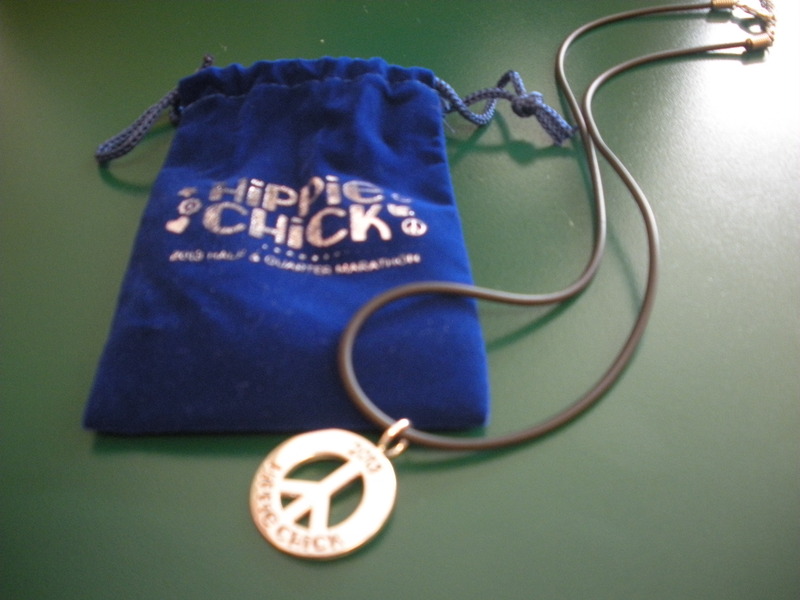 Rather than giving out finishers’ medals, we got these sweet necklaces. 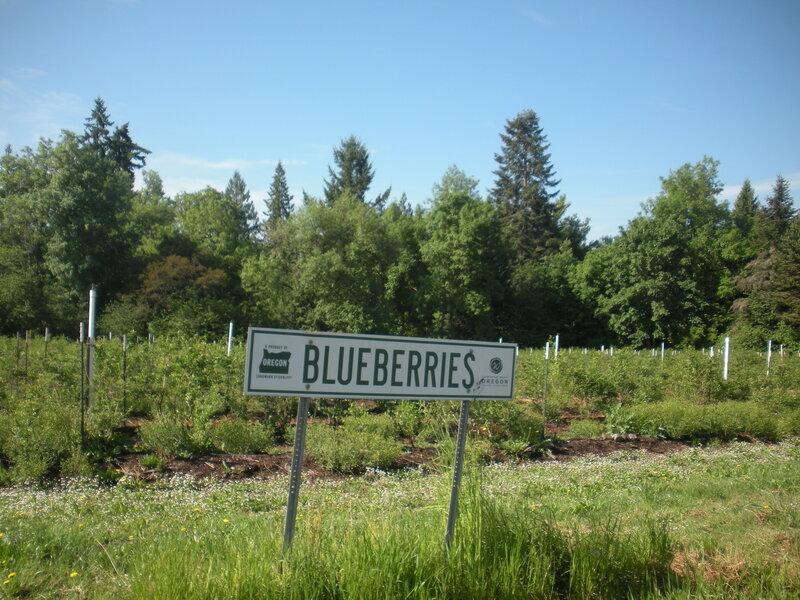 This entry was posted in Becky's Adventures, Healthy Living, Oregon, Running and tagged half marathon, Hillsboro, Oregon, Running. Bookmark the permalink. Your pictures are great! I ran this race too. I’m glad that you had a good race. Thanks, and I am glad to see you had a good race as well. 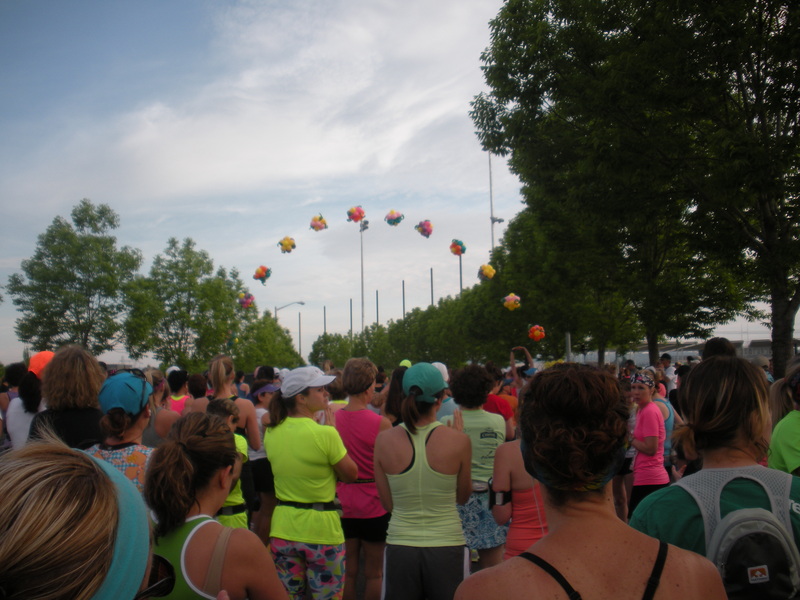 What an awesome Mother’s Day gift to have your kids cheer you on at the race! Love the medal. Fun stuff!